An Innovation Lab is an organizational unit that specializes in the efficient implementation of innovative products, new services and digital business models outside the conventional corporate structures. Innovation labs are primarily set up by companies that want to implement their innovation strategy faster and more efficiently or want to develop business innovations with a higher degree of novelty, so-called radical innovations or digital disruption. Innovation Labs are a tool that supports a company’s innovation management. Especially in the early stages of the idea generation process, initial ideas are constantly exposed to the risk of being lost in day-to-day business. Even a sophisticated innovation process can often change little about business realities. Accordingly, new ideas need a protected space in which teams can develop them passionately and successfully under high pressure. An Innovation Lab is such a protected space. Innovation Labs are comparable to greenhouses in which plants can develop under far more favorable conditions than in the natural environment. 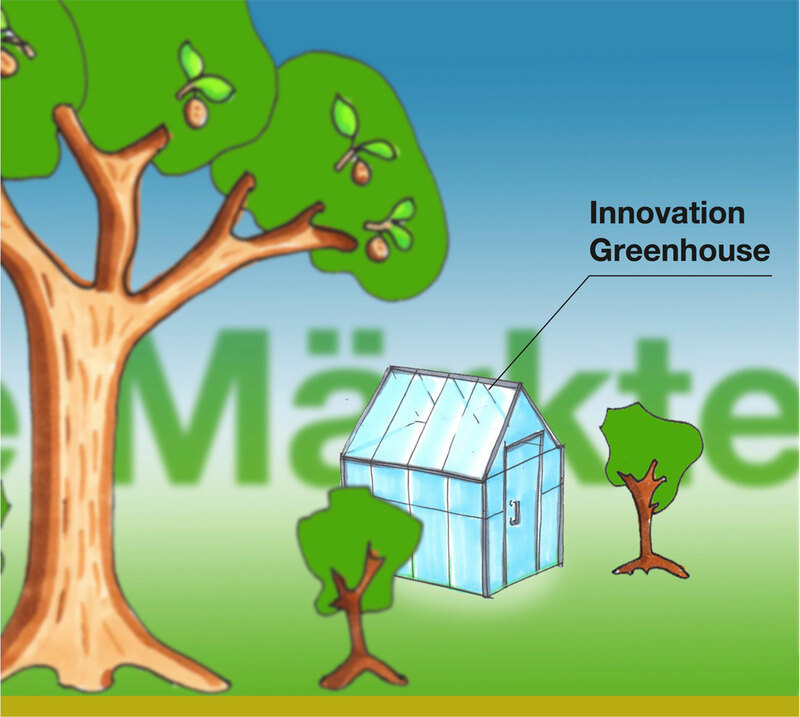 These “greenhouses” for innovation literally offer protection against rain and storm. And they are a breeding ground in which a climate prevails that drastically accelerates the development process. An Innovation Lab operates outside the framework of conventional corporate structures, sometimes even outside the innovation process. There are a number of principles that must be observed to ensure success so that teams in an Innovation Lab can work purposefully. An Innovation Lab has the objective of bringing a particular innovation project to a successful conclusion. This involves various stages such as searching for hidden customer needs, developing ideas and prototyping. However, the process is not as rigid as, for example, an innovation process for managing complex technology projects. The goal is more important than the process. The innovation culture within an Innovation Lab is strongly aimed at fostering creativity and a spirit of innovation. It promotes the radical questioning of the existing and the development of extraordinary solutions. Members of an Innovation Lab often collaborate with external parties and customers. New approaches are discussed and tested using tools like co-creation and Open Innovation. An Innovation Lab can be supported by special innovation management software such as Innolytics®. Innolytics® allows you to set up different innovation labs on different topics, define individual innovation processes for particular areas, and invite outsiders to discuss specific issues.